Our "Join-In Holiday" starts every Thursday or daily on a "Private Basis" in Istanbul, the epicenter of Turkey's hustle and bustle. From Istanbul fly to Ankara where you will visit the Museum of Anatolian Civilizations before driving to Cappadocia. Enjoy a day exploring this area of cave dwellings made up of homes, churches and museums. Driving to Pamukkale stop in Konya the home of the Whirling Dervishes to attend a performance. 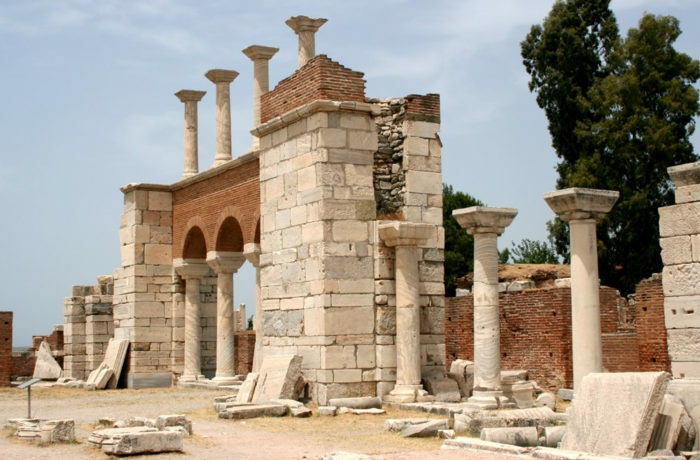 From the seaside port of Kusadasi you will visit the ancient city of Ephesus, including the House of the Virgin Mary and Basilica of St. John. Arriving at Istanbul Ataturk Airport, transfer to your hotel. After a short rest at your hotel, you are free to explore the city or take an optional sightseeing tour. Overnight in Istanbul. We have not included the domestic flights in Turkey as most visitors have these included with their International ticket. We can offer flights if required with Turkish Airlines. The guide prices shown are designed to provide you with a broad indication of how much to budget for your holiday. Prices are generally based on two people travelling together and sharing a room. There are a number of factors which will influence the price; these include the standard of accommodation, and the level of private guiding versus shared excursions. We offer you the choice of staying in 4 star or 5 star accommodation, with private transfers and join-in or private excursions. Sightseeing as detailed with English speaking guides based on seat-in-coach or private touring basis. A guaranteed departure holiday commencing in Istanbul every Thursday.